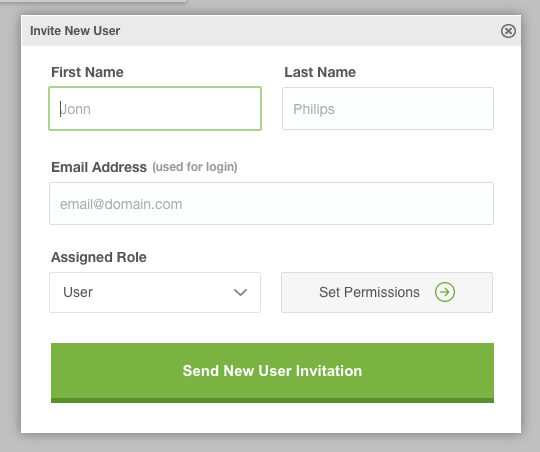 In this tutorial we'll cover how to add, remove, and set account permissions for additional users in your account. Complete the form and an email invitation will be sent to the new user. The new user will need to accept the invite and set a new account password if one doesn't already exist. Note: The User role does not have access to the billing or user creation functions of your account, only the Owner role has these permissions. 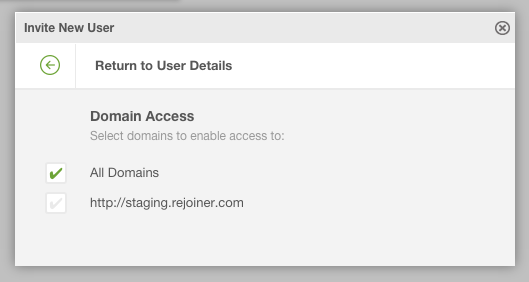 If you'd like to customize domain level permissions, click Set Permissions and choose which domains the user should have access to. Click X next to the user's account record and confirm that you want to remove the user from your account.